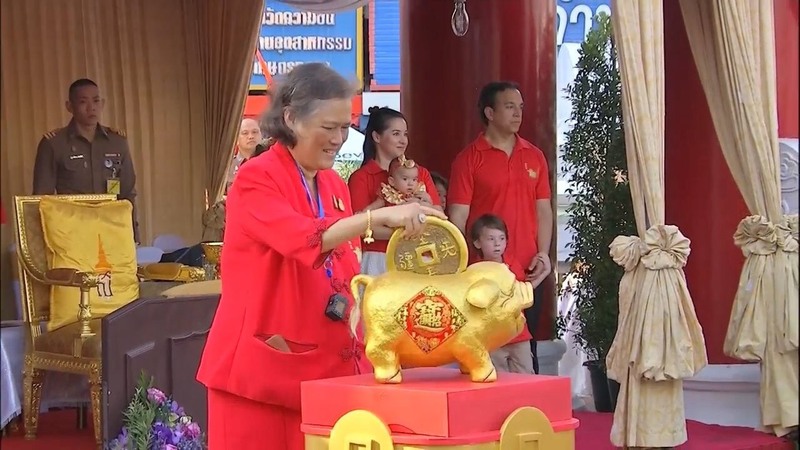 Her Royal Highness Princess Maha Chakri Sirindhorn presided over the opening ceremony of the 2019 Chinese New Year at Odeon Circle, Yaowarat Road, Pomprab Sattruphai District. Her Royal Highness Princess Maha Chakri Sirindhorn granted permission to Ms Raushan Yesbulatova, Ambassador of the Republic of Kazakhstan, to attend an audience with Her Royal Highness at Chaipattana Building, Chitralada Villa. Her Royal Highness Princess Maha Chakri Sirindhorn graciously granted permission to seven groups of people to attend the audiences with Her Royal Highness at Dusidalai Hall, Chitralada Villa.